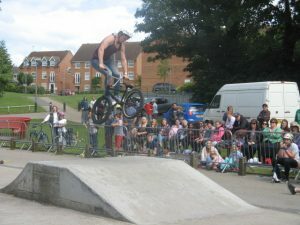 Buckingham Town Youth Council (BTYC) was started in 2011 by Buckingham Town Council. It is a non-political, independent group of young people who meet to organise events and discuss issues that are important to the youth of Buckingham. The job of a Youth Council is have the ideas that could make a difference to the lives of young people in the town. Whilst all the town councillors were young once, and do try to listen lots to young people… we know that young people think about the world in different ways. Different things matter. And so our Youth Council exists to agree actions that they can take themselves or to seek help from the Town Council (or others) to make the town an even better place for those under 18. The Youth Council’s aim is to include Buckingham’s young people in local government, give them a voice within the town and the opportunity to develop and shape their community for the benefit of young people. 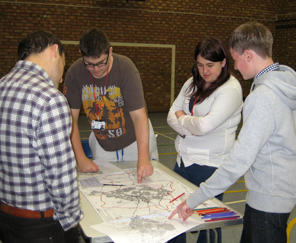 Youth Councillors also take part in Town Council organised events, such as Local Democracy week. The Youth Council’s success is based on having active involvement and it is always looking to increase membership to ensure this. If you are aged 11-18, a local resident of the town or attend a Buckingham school then you can stand for the Youth Council. The Youth Council reports back to the Town Council via its minutes. The Town Council supports the Youth Council with administration. Members of the Town Council provide guidance where appropriate. Who can be a Youth Councillor? The job is open to all young people aged from 11 to 18. Anyone who lives in the town or goes to school here is welcome to come along and get involved. The Youth Council decides for itself how often to meet, it could be once a month or longer depending on whatever Actions the previous meeting has agreed upon. Is being on the Youth Council interesting? As with life what you put in you’ll get out, whether it’s to meet new people, rub shoulders with leaders in the community, learn new skills such as event organising, budgeting etc, ask questions and listen to the views of young people, have input as a recognised body if there’s money to be spent or you might fancy a career in politics. Whatever the reason know that being on a Youth Council is good for your confidence, self-esteem and looks great on your CV or college/uni application, as it shows you can work in a team and you are community-minded. To find out more, or if you are interested in joining or if you have any issues that you would like to bring to the Youth Councils attention, please contact Claire Childs, Clerk to the Youth Council, at deputytownclerk@buckingham-tc.gov.uk.